The number one problem in identifying the location of the Garden of Eden is the fact that the Biblical description is for the second garden between the Tigris and Euphrates. This is the garden that Adam and Eve made after they had to leave the first garden. No one is looking at where the first garden may have existed. The first garden only lasted about 100 years but the second garden lasted thousands. Adam lived for 530 years (930 years Gen 5:5) and Eve lived for 511 (Urantia Book 852) Some of Adam and Eve’s children continued to live in the second garden. Eventually the blood line ran out at about 2000 BC (Urantia Book p868) (which is within the time frame of Sumerian cuneiform writings). The confusion is understandable. You have Adam and Eve arriving at the location for second garden right near where the rebellion had happened. Who would eventually record these events? The Sumerians or, more properly, the Andites.So where was the first garden? 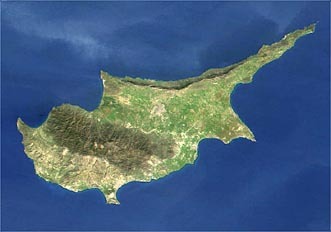 If you look at the island of Cyprus you will see a long arm of land extending toward the mainland. If you were to drain the Mediterranean Sea the arm today would almost connect completing the mountain range that existed tens of thousands of years ago. 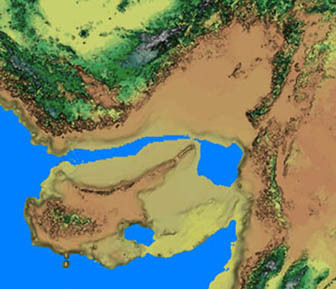 By re-elevating the sea floor Cyprus would become a peninsula. It would also bring up the mountain range submerged just south of the present day island giving the garden the protective walled-in description from which the word paradise originates. As you can see, to the west Cyprus has a mountain range. The river that flowed out of Eden would have had its course down the long arm and out towards what would later become the second garden in Mesopotamia. The Bible states that a river flowed out of Eden into the head waters of four rivers. "And a river went out of Eden to water the garden; and from thence it was parted, and became into four heads." (Gen 2:10) The Urantia Book also describes this river. "The great river that watered the Garden came down from the higher lands of the peninsula and flowed east through the peninsular neck to the mainland and thence across the lowlands of Mesopotamia to the sea beyond. It was fed by four tributaries which took origin in the coastal hills of the Edinic peninsula, and these are the "four heads" of the river which "went out of Eden," and which later became confused with the branches of the rivers surrounding the second garden." (Urantia Book p823) This river had its source in the western mountains of Cyprus which are still there. When the Bible was being written two of the four rivers mentioned were the Tigris and the Euphrates which would be understandable. (Urantia Book p823) The committee on the garden’s location selected “...a long narrow peninsula – almost an island – projecting westward from the eastern shores of the Mediterranean Sea. So somewhere beneath the eastern waters of the Mediterranean is the original Garden of Eden. Also there should be the stone ruins of the temple dedicated to the Universal Father with its circular courtyard, many miles of paved roads and the remnants of many buildings if they were made of stone and not adobe brick. And again the roots of the Tree of Life may be there as well. Other features that may not have survived would be the extensive network of irrigation canals, the landscaping, the zoological garden built just outside of the main protective wall and a covered brick-conduit sewage disposal system. Much should be preserved as the sinking took several hundred years to complete. It was because of the hard work of the Edenites in the second garden that civilization really had a chance to take hold. The incredible length of time over which this process took place demonstrates how difficult it must have been. Practically nothing survived the rebellion. We owe Adam and Eve and all that they accomplished our deep and abiding gratitude. We read in Genesis 3:23 "...the Lord God sent him forth from the garden of Eden, to till the ground from which he was taken." And Genesis 4:2 "...Now Abel was a keeper of sheep, and Cain a tiller of the ground." Within the span of only several sentences the Bible says the arts of animal husbandry and agriculture were known to Adam and Eve and their children. This certainly predates the Neolithic revolution by a huge time frame. But the Bible is accurate in that the Edenites did know these arts although they were not the first humans which can be attested by Cain going to the Land of Nod and finding a wife or "the mark of Cain" put on him to protect him from harm by others. (In the Genesis account it was after God told Cain he was to become a "fugitive and a wanderer on the Earth" that "...the Lord put a mark on Cain." This was done in response to Cain's lament in Genesis 4:14 - "Behold, thou hast driven me out this day from the face of the earth; and from thy face shall I be hid; and I shall be a fugitive and a vagabond in the earth; and it shall come to pass, that every one that findeth me shall slay me." "Then Cain went away from the presence of the Lord, and dwelt in the land of Nod, east of Eden"). And as a last remark on these "first" humans: Cain found a wife and had as their first born Enoch and Cain built a city and named it after his son. If there were no others around who would populate this city? the Cain and Abel story and additional information on the "Mark of Cain"
"Given that the first group of these ultimately canonical books [the Books of Moses] was written while the Jews were held captive in Mesopotamian Babylon in the 6th century BC, it is apparent that Babylon was where the original records were then held. In fact, from the time of Adam, through some nineteen said generations down to Abraham, the whole of Hebrew patriarchal history was Mesopotamian. More specifically, the history was from Sumer in southern Mesopotamia, where the ancient Sumerians did indeed refer to the grass-lands of the Euphrates delta as the Eden." The above quote is from a supporter to the Grail King theory which involves the story of the Merovingians. As a matter of record this web site does not support the Grail King theory but read what is said on this matter and judge for yourself. AtlantisIt would not be a long stretch of the imagination to consider Eden to be the long lost Atlantis. As to what has been attributed to Atlantis could be a combination of legends of the first and second garden. The ancient history of the 100 and of Adam and Eve was carried out to the world by the migrating Andites and the stories and oral traditions of these events found their way into the traditions of the cultures of distant lands. But it makes sense that the Garden of Eden would be the genesis of the Atlantis legend. This is the source of the revolution that changed the world. It was Eden that was the touchstone of the Neolithic. No where on the planet was there anything comparable to its depth of culture, technologies and biogenetics. As the techniques of agriculture spread out from the fertile crescent legends followed in its wake. One of those legends was of a paradise so advanced it seemed from the future and in a great cataclysm disappeared beneath the sea. And so the legend of Atlantis was born. The migration was of a people that carried this legend within their blood. Their ancestors had lived the ancient story. There are several lists of Alantian features out on the Internet. 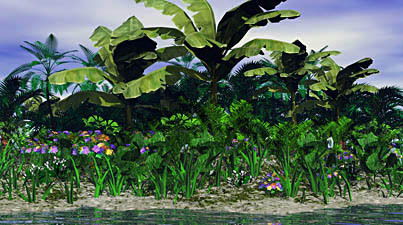 Those items that support the Eden-as-Atlantis would include: irrigation canals, tropical climate, large population, volcanism, sunken continent, superior technology, metals, plain which contained the capitol city was long and rectangular, mountains came down to the sea enclosing the plain, both the island and its southern plain were elongated, north of the equator, the plain was in a valley, the island’s rivers originated on the highlands, the island provided almost all the requirements for human life, precious stones, and some of the island’s highest peaks may still be above water. For current information on this subject please visit: www.discoveryofatlantis.com and download Cortona VRML software to view the 3D models at the web site. The location of the first garden does not fit with Plato's description. But there is an ancient city that has been linked to the mythologies of Atlantis. That city is Tartessos in southern Spain. It was destroyed by a tsunami at the height of it's power. "Aerial photos show the existence of large circular and rectangular forms that could not have been produced by nature. The images, together with literary accounts by ancient Greek geographers have given weight to the theory that a great Tartessian city once existed within the park. The Tartessian civilization, which developed in southern Spain between the 11th and 7th centuries BC and became rich trading gold and silver from local mines, has long been linked by mythologists to the Atlantis legend. While the Spanish researchers refuse to speculate on whether they are on the brink of discovering Atlantis others believe their research could be a breakthrough in a centuries old quest. "Evidence is mounting that suggests the story of Atlantis was not mere fiction, fable or myth, but a true story as Plato always maintained," said Georgeos Diaz-Montexano, a Cuban archeologist who has spent the last 15 years searching for the submerged city. "Atlantis is not exactly where the CSIC is looking, but it is close," he claimed. The theory is just the latest in a long list of suggested locations for Atlantis, including various Mediterranean islands, the Azores, the Sahara desert, Central America and Antarctica. "It does not also seem chance that only in Iberia are found remains of an ancient circular concentric city that was alternating circular pits of water with rings of ground on those that they were building and that were connected by means of bridges, as well as complex canalizations that were serving to bring the waters of the mountains; quite almost exactly equal to as it describes Plato in the Critias. Circular cities or with protection pit around someone of them are known in other places of Europe, but none as that of Jaén – with these so complex hydraulic characteristics , and so similar to the principal city of the Atlantis – not so ancient as the concentric circular city of Jaén. Ceramics with concentric circles will be able to be in many places of the Mediterranean, belonging to other peoples as Greeks, Phoenicians and Etruscans, but ceramics with symbols of “Concentric Rings and Channel”, as the scheme of Atlantis, only they appear in Iberia as the investigative Hisppanic – Cuban demonstrates, at least up to the date." The "Concentric Rings and Channel" may be found on Iberian ceramics but this design is ancient. Neolithic petroglyphs from Scotland, England and elsewhere display what is termed ring cups. These predate the Iberian design by thousands of years. No one really knows what these designs mean but they appear in northern Europe, India, Mesoamerica and the United States. The ring cup to the left is from Scotland and is a drawing of a cup and ring design carved in rock. The number of rings varies in these pertoglyphs and this design sometimes has and sometimes not the so called channel. Some of the channels are really channels that are carved deeper than the rings themselves. Also there are varieties of the cup and ring design which add to the mystery of its meaning. The Tartessian symbol may be the symbol of Atlantis or it could be one of those ancient symbols whose real meaning is lost to us. But the location on the Atlantic seaboard and past the Pillars of Hercules - as stated by Plato - should give us a pause for thought. "What is the significance of the motif? Of course, no one can say for sure. Many in Britain are near copper and gold workings. Other are associated with burials and astronomical alignments. Some European archeologists think they represent the sun or sun god. For the anomalist, the cups-and-rings hint at an ancient worldwide culture that left its signature on rocks just about everywhere. " "Now over one thousand of the ’cup and ring’ carvings can be admired on a new website, which carries 6,000 images and is said to be the most comprehensive of its kind in the world. The site, which goes live today [Jan 14, 2005], includes the 250 panels unearthed during a two-and-a-half year trawl of some of England’s remotest countryside, in the expansive moorlands of Northumberland. Experts, however, are still grappling with the origins and meaning of these abstract carvings, believed to be the work of Neolithic and Early Bronze Age people between 6000 and 3500 years ago, although there are several theories." There as been academic speculation that Dilmun and Eden are the same. They are not. The confusion arises, of course, from the fact that both are called a paradise. Eden was to the northwest of Dilmun which was a Nodite city that replaced the destroyed Damamatia. Technically, the inhabitants of Dilmun were of Nodite heritage and the those of Eden were Adamic. Thus they were two different races. Although the southern Nodites interacted with the inhabitants of the garden there still was a divide between them. "The Sumerians did not have a "unified" Eden myth. Instead they had numerous myths dealing with a place called Dilmun. Just what and where was Dilmun? There seems to have been two such places in Sumerian literature. A mythical paradise-like place and a real geographic local that traded with and paid tribute to various Mesopotamian lands. Most scholars now identify Dilmun with the island of Bahrein. This may well be the case for the later historical Dilmun, but the earlier paradise like Dilmun could not have been there. "The Land of Tilmun/Dilmun known account of a paradisial garden appears on a cuneiform tablet from ancient Sumer. Here we learn of the mythical place called Dilmun, a pure, clean, bright place where sickness, violence, and old age do not exist. At first this paradise lacks only one thing: water. Eventually this is provided by the Sumerian water god, Enki. At once, Dilmun is transformed into a garden of fruit trees, edible plants, and flowers. Dilmun, however, is a paradise for the gods alone and not for human beings, although one learns that Ziusudra (the Sumerian counterpart of Noah) was exceptionally admitted to the divine garden." (An Encyclopedia of Archetypal Symbolism)"
If one reads the ancestral records, Dilmun is where the sun rises which would place it south of the Sumerian city states. But to the north the name Eden survived. It is also then located in the delta area of the Tigris and Euphrates where with the construction of canals would bring the necessary water for irrigation. One description has Dilmun at the mouth of two bodies of water. "“Eden,” in Hebrew means, “delight.” It was the first residence of humankind. Controversy has revolved around the question of the geographic location of Eden. The name Eden is probably connected with Edinn, the Sumerian name for the plain of Babylon." As alluded to on the Tree of Life page, this "Third Eden" was the location where Adamson and Ratta settled and raised their family. Adamson was the son of Adam and Eve and Ratta a pure line Nodite. It was their offspring that merged with the later appearing Mesopotamian Andites that extended the Andite culture to the east, north and south. The Kopet Dagh area has a quite interesting history. Some connections to this edenic area would be the legend of the two lovers, the legend of the Teutonic Norse Gods, the Goddess Idunna with her golden apples of immortality, the origin of the secondary midwayers (some who would align themselves with Lucifer and become known as evil spirits) and the birthplace of Zoroaster to the east. Then we have the origin of the Andonic race, the Sangik races and the Neanderthals from an area extending from the highlands of India to north and east of the Kopet Dagh and migrating out basically north and west. The Lut desert is located to the south. The name Lut appears to take on the significance of this area's history as Lut was one of the council of ten who chose rebellion. Below is a map showing part of the region with an overlay of ancient trade routes from about 3000 BC. 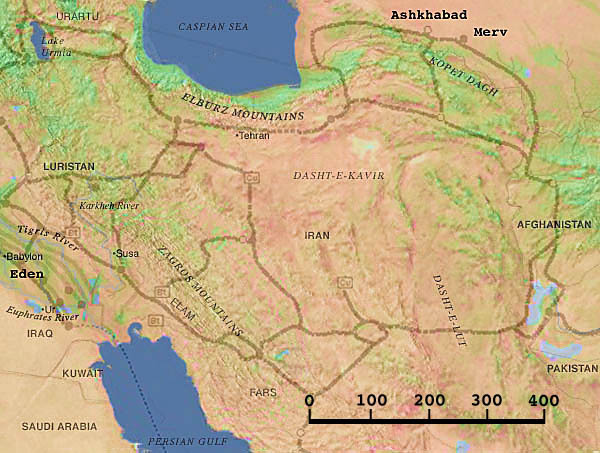 Although the routes traverse both north and south of the Kopet Dagh mountains the top route goes through Ashkhabad an ancient city on the silk road. There is an interesting legend of two lovers. If we remember that Adamson was Adamic and Ratta was Nodite it makes us wonder about how this legend came to be. "But in Turkmen folklore the name of the city is linked with the meaning «a city of love». According to a legend, when Nisa was under the rule of Nuramed, and Annau was under the rule of Pirakhmed, Allah put a veto on love. But against the interdiction, the daughter and the son of these governors fell in love. Realizing the threat to their safety, they hid themselves in a desert, until at last, parched with thirst, they came to a mountain range, found a lonely spring, and ran to slake their thirst, only to find it had run dry. The lovers went further, where they met a mountain river, but no sooner had they fallen to drink than it evaporated. The young man then dug to reach underground springs, which made Allah angry again, and He sent Azrail, the angel—divider, to them. However, God's envoy failed to carry out the sentence: having looked at the girl, he fell in love and forgot his mission. And then a spring of the same crystalline purity as love itself gushed out of the ground. They decided to stay here, near the won- derful spring which saved their lives; and after hearing their history other people moved here, too. As regards the meaning of the root «ashkg» there are also several possibilities. 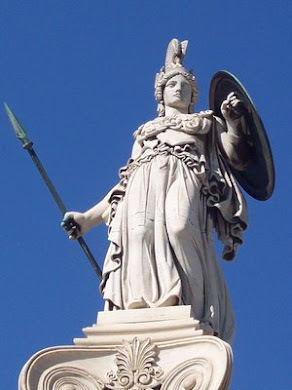 It links both with Astarta (Ashghoret, Ishghar) — goddess of fertility and love in ancient eastern mythology, and with the Parphian King Arshak I, whose name is mentioned as Ashk I in the Armenian original sources, while the dynasty, founded by him is called «ashkanids». Finally, there is an absolutely fantastic version, according to which Ashkhabad is located on the site of Asgarda, celestial settlement of the gods — as featured in the Scandinavian myths «Inglingsaga» and «Junior Edda» by Snorri Sturlusson." the distance between Minneapolis MN and Lexington KY.
"The Old Norse reckoned that there were three races of Gods: the Aesir, the Vanir, and the Jotnar. The Aesir are those beings most often referred to in the ancient literature simply as "the Gods," in fact the word "As" means "God." They are the Gods of human society, representing things such as leadership, craft, justice, etc. The Vanir are more closely connected to the earth and represent the fecundity of the land and sea, and the natural forces which help mankind. Once there was a great war between the Aesir and the Vanir, but this was eventually settled when it was determined that neither side could win, and Frey, Freya, and Njord came to live with the Aesir to seal the peace. The Jotnar are a third race of Gods and at constant war with the Aesir, but there is not and never will be peace in this battle. The Jotnar are never called Gods, but rather referred to as giants. They represent the natural forces of chaos and destruction as the Aesir represent forces of order and society. Just as fire and ice mix to form the world, this creative interaction of chaos and order maintains the balance of the world. In the end the two sides will meet in the great battle of Ragnarok and the world will be destroyed, only to be reborn. The Norse notion of the Gods was very much involved with tribalism. The Aesir are the Gods of the tribe or clan. The Vanir are those Gods who are allied with the clan, but who are not part of it. The Jotnar or Giants are the "outlanders" or more simply everyone else. The Norse Gods were not held to be all powerful or immortal. Their youth was maintained very precariously by the magickal apples of the Goddess Idunna [Inanna?]. More importantly at the end of the world a good number of the Gods will die in battle. The Northern view of the world was a practical one with little assurance for the future and little perfection and the Gods are no exception. It is very important to understand that the Gods are real and living beings. They are not mere personifications of natural forces, nor are they Jungian archetypes that dwell only in our minds--although Jung's work may be helpful in understanding their nature as living beings. Those divinities who we call "Gods" (i.e., the Aesir and Vanir) are also "personal deities" who take an active interest in the affairs of mankind, and seek relationships with their followers. This is important to remember when we perform ceremonies or pray to the Gods. They aren't magical symbols to be manipulated, nor is our religion some type of giant cosmic vending machine where sacrifices are inserted and blessings come out. The Gods are living beings and offer us benefits because we are their friends and companions. They should always be treated with respect." "The other ship type probably represents a "skin boat" with a rather short and bulky hull and an interior framework of wood, appearing on the petroglyphs as if viewed from outside. Such a boat is mentioned in early Norwegian sagas written down by the Icelander, Snorre Sturlason, before his death in 1241, (Snorri, The Sagas of the Viking Kings of Norway. English translation: J. M. Stenersens Forlag, Oslo 1987). According to the saga, the Viking kings descended from Odin, an immigrant hierarch who came in a vessel called Skithblathnir (Skidbladner) which could be folded together like a cloth. Odin came from the land of the "Aser", and is, therefore, frequently referred to as "Asa-Odin". The legendary land of the people known as Aser is given a very exact location in Snorre's saga as east of the Caucasus mountains and the Black Sea. From there, according to the same saga, Odin, owner of the foldable boat migrated with all his people northwestwardly through Russia, Saxland, and Denmark into Sweden where he died and lay buried in a huge funerary mound at Sigtuna. Asa-Odin's saga with his boat and his itinerary has been considered by Nordic historians as a myth concocted in medieval times, although they consider the Nordic people as Caucasians. But, perhaps, Odin's boat may indicate that the land of the Aser really lay by the Caspian Sea east of the Caucasus." It seem odd for a Scandinavian legend to extend to the Kopet Dagh area but it seems to have come through the shamanistic traditions of Siberia, Finland and Lappland. But this is more than just a legend for there is terrestrial proof of Asgard and Odin. A quick note about giants: in the Celtic legends the giants seem to have moved up through Germany to Scandinavia and then by sea to Ireland and the British Isles. The Celtic legend just about mirrors the "Odins migration" as seen above. occupied two heights not far from the present-day settlement Bagir near Ashkhabad, Turkmenistan's capital. One of the two heights was taken by a imperial fortress of the Arsacids which protected palaces as well as the auxiliary buildings, temples, wine depositories and the guard's quarters. This place is now called the Old Nisa. There are grounds to believe that this was the residence, or one of the residences, of the Parthian rulers. 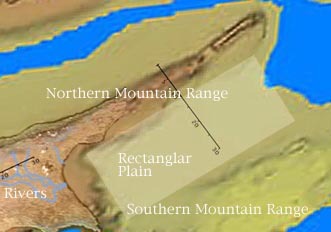 A few structures of the site have been studied and the approximate appearance of one of them has been recaptured. The most interesting seems to be the so-called Square House in the Old Nisa. Figuratively speaking, it is the key to Asgard. This Square House had twelve chambers of the similar type, with treasures and pieces of art. What was the function of these chambers? Was that a treasury? Undoubtedly, but not only. It was the treasury of Asgard! Each room was devoted to one of the twelve Ases. When the gifts to Ases from various lands filled this treasury, the doorways of the chambers were immured one after another and sealed by priests. With time all the rooms of the treasury house were filled with the offerings that had supposedly come from the numerous allied tribes and even from the far-away Thracia. After that the second row of the treasuries was built. When they were filled, the treasury house was expanded again; the courtyard surrounded by storerooms was girded with a pillared portico. Is there any direct evidence that the Square House belonged to Ases, and, above all, to the supreme deity? Yes, there is. One of the rooms contained ivory rhytons measuring 30 - 60 cm. in height. They date back to the 2d century BC, i.e. the age of Odin. The upper part of the rhytons is decorated with the embossed friezes. Some experts believe that these friezes portray Olympian gods of the ancient Greeks. This cannot be the case. One can talk about the Greek influence, about exquisite workmanship seen on a particular rhyton, but, obviously, this is not a depiction of Greek gods. It is not difficult to recognise Odin, Thor, other gods and goddesses doing same things that Ases did in the sagas. The treasury with the rhytons belonged to Odin, the supreme god. After all, it was said in the Prose Edda that he needed not victuals but wine. Near this treasury in the Old Nisa there also used to be a big wine storeroom. Odin himself took part in ritual festivities, which befitted his role of a deified ancestor." "In Hindu, Farsi, and Arab tradition, Merv is regarded as the ancient Paradise, the cradle of the Aryan families."